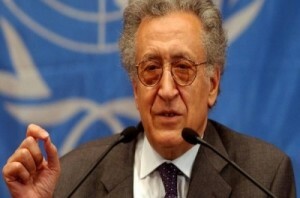 Syria has acknowledged Lakhdar Brahimi as the new United Nation envoy in a statement read by the deputy foreign minister. He said that they are ready to work with him despite criticisms from the international monitors that the Syrian government didn’t collaborate satisfactorily with Kofi Annan and nor abide by the six point peace plan that was laid down. Deputy Minister Muqdad also lamented the speculations of the Western powers. He warned that “there will be no winner in Syria, as the West is betting there will be.” He added that “Syria will win, thanks to its people, its leader and its government, which will make the right choices in the midst of these difficult circumstances;” before pointing fingers at “foreign interference” for the prolonged conflict. During the course of the week, Syria said it was willing to allow Assad to step down as part of its effort to end the crisis because he is considered to be an obstacle by the rebel forces and their allies who think that he can’t be part of a transitional government. Kofi Annan will be replaced by Brahimi after his mandate ends as UN’s special envoy. However UN’s Security Council remains divided over how to bring an end to the Syrian crisis but Syria is counting on Brahimi’s international experience and hopes that international pressures will be ceded. Written by: Jaber Ali on August 24, 2012. Posted by Jaber Ali on Aug 24 2012. Filed under Headlines, World News. You can follow any responses to this entry through the RSS 2.0. Both comments and pings are currently closed.